My regular readers would know how much I love mint. My love for this green leaf started with home-made chutney by my mother. This is a must with all the snacks she makes at home. 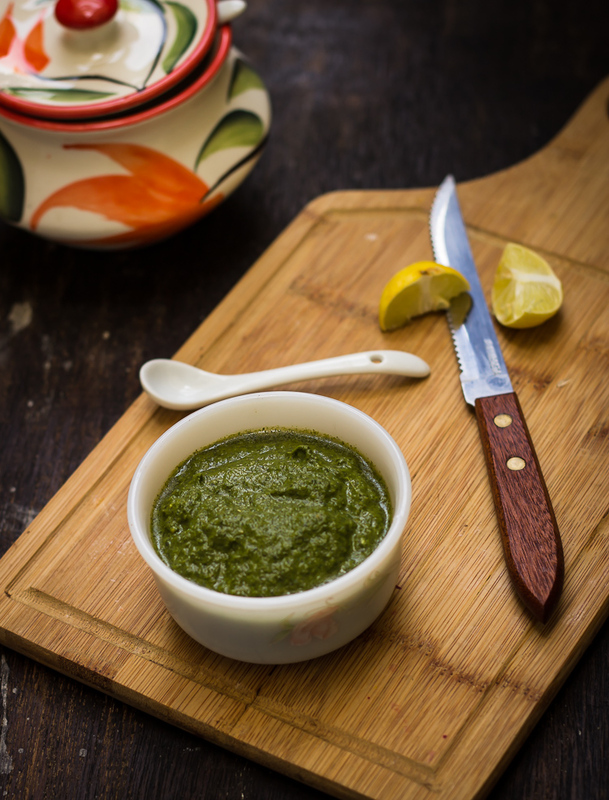 There are many variations for this lovely green chutney. 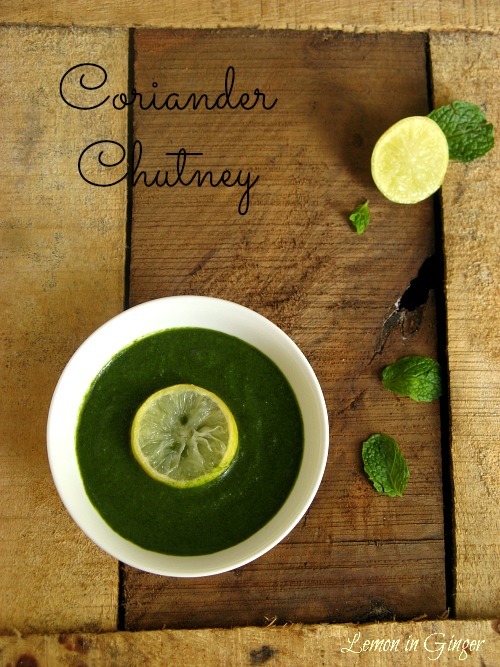 I love adding mint leaves to the coriander bunch for a fresh tang! Only few simple things to keep in mind while making this chutney – remove the mint leaves only from the stem/ stalk. Avoid stem as much as possible as it adds bitterness to the chutney. Do not add lemon juice or amchoor in a steel jar of mixer – it will turn bitter. With just few tips in mind, this chutney is a breeze to make and a must have for all snacks. 1. Wash coriander and mint leaves thoroughly. Place them in a wet grinder jar of the mixer. Add remaining ingredients except lemon and grind it till it turns into a paste. 2. Immediately remove it from the jar and transfer to a bowl. Squeeze the lemon into it. Mix gently. Serve fresh with snack of your choice. Clean mint leaves carefully, removing them from stalk/ stem. Add only the leaves to the chutney and not the stem. Do not add lemon juice into the steel jar of mixer. Remove the chutney into a glass or plastic container before adding lemon juice or the chutney would turn bitter. Also removing immediately to a air-tight container keep the color of the chutney fresh. You can increase the amount of lemon/ amchoor for extra sour taste.